Have you considered having a nose job but don’t want the high cost or downtime? Consider the Non-Surgical alternative. Injection Rhinoplasty (also known as the Non–Surgical Nose Job or “15 MinuteNose Job”) can resolve the appearance of bumps, drooping tips, and crooked noses, safely and quickly, without the risks and long, painful recovery normally associated with rhinoplasty surgery. The importance of a well-balanced nose cannot be overemphasized. As one of the most prominent features of the face, the nose is essential for facial harmony and, for many people, a positive self-image. 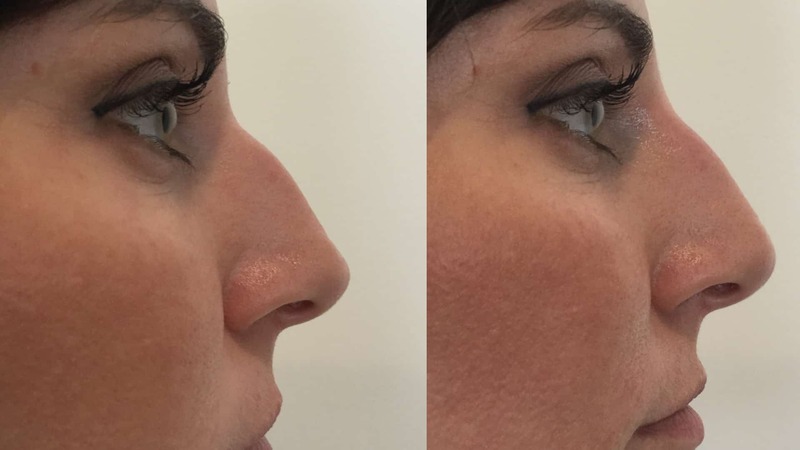 For men and women frustrated by the appearance of their nose and are not ready for surgery we have an alternative, Dominique Well at Well Medical Arts has used dermal fillers to achieve attractive results for many patients. 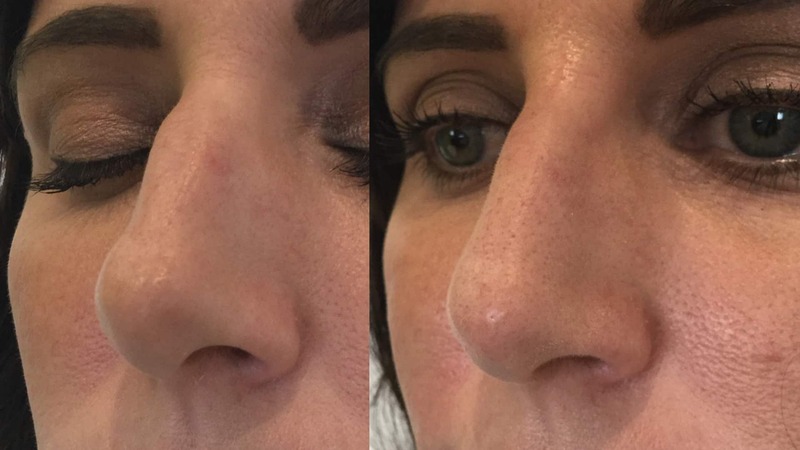 A non surgical nose job consists of a series of small injections of dermal filler (we like to use Bellafill) into very precise locations throughout the nose. The whole injections procedure takes about 15 minutes and you we can get very noticeable results. We like to go slow and to make sure you are happy and will schedule a follow up visit two to three weeks after the initial procedure to check that the results are perfect. At this time we may perform any small touch ups as necessary. It is a popular alternative to Rhinoplasty. 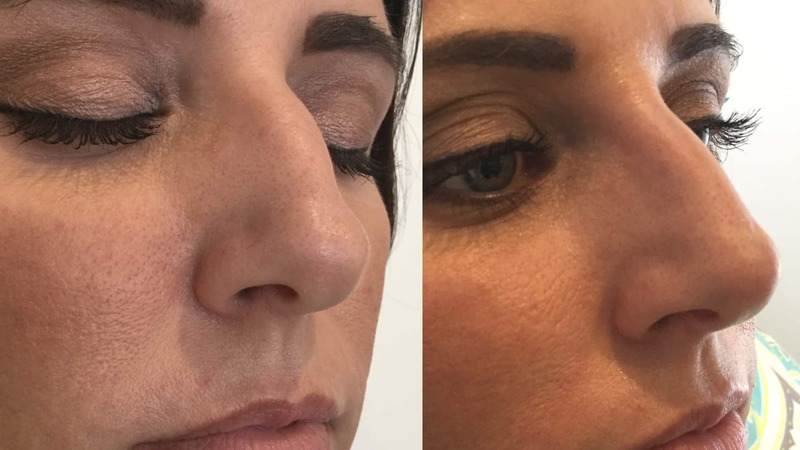 The Non Surgical Nose Job has become a popular alternative for many who seek to correct mild to moderate nasal imperfections, without having to undergo surgery. The procedure is not for everyone. It cannot shrink a large nose or narrow wide nostrils, for example. The procedure can, however, make a bumpy nose look smaller by camouflaging the bumps and straightening the profile. It can also make a crooked nose look straighter, raise a droopy tip and correct contour irregularities from post surgical rhinoplasty scarring. Correcting these imperfections makes the nose more symmetric and in harmony with the rest of the face. The Non Surgical Nose Job is a great procedure for Asian and African American patients to raise the bridge and define the tip. It works very well to give significant augmentation, while still looking natural. The change is there, but no-one can tell that the nose has been worked on. Fillers such as BELLAFILL, RADIESSE and JUVÉDERM are FDA-approved for the treatment of nasolabial folds (“smile lines” or “parentheses”). Use of dermal fillers for other improvements is performed at the doctor’s discretion, but has become widespread with uses such as scar revision, lip augmentation, filling dark circles, and more. Building the bridge (augmenting the dorsum). Refining the results of nose surgery (filling in small defects). Tip enhancement (adding dimension or improving the shape of a flat tip). Smoothing or straightening the nasal hump.